A large head-to-head comparison of angioplasty and clot-dissolving drugs for heart attack victims has ended in a draw. The study, performed on more than 3,000 patients, found no difference in the death rate after treatment with the rival approaches at ordinary community hospitals. The issue of which is better has been a hot topic among the nation's heart specialists, and the latest report is unlikely to settle the debate. During the past decade, clot-busting drugs such as TPA emerged as the front-line treatment for heart attacks, used on about 180,000 Americans at a cost of $350 million annually. If given soon enough, they can break up blockages in the heart's arteries, preventing death or permanent damage. But more recently, an approach called primary angioplasty has challenged the dominance of these drugs. Angioplasty is already a mainstay of treatment for clogged heart arteries. Doctors push a catheter into the artery and inflate a tiny balloon that squeezes open the blockage to restore blood flow. In its new application, some doctors are performing angioplasty as an emergency procedure within an hour or two after the heart attack patient arrives at the emergency room. 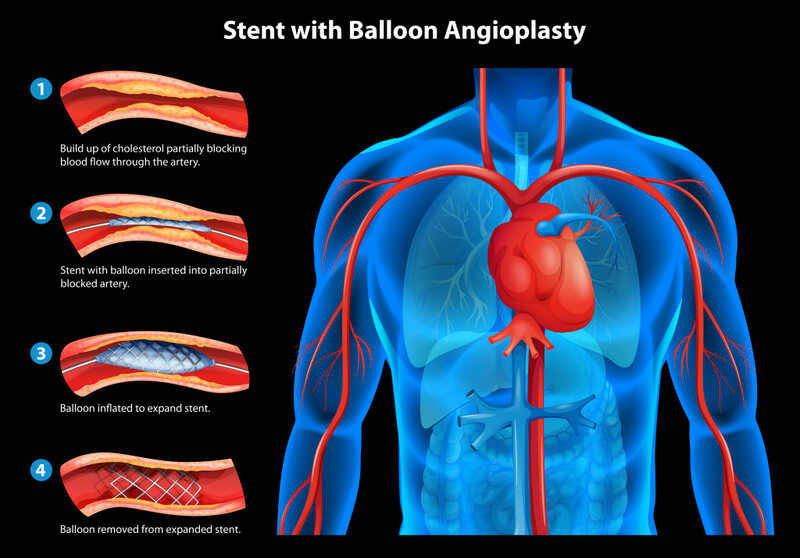 Small studies at hospitals that specialize in this approach found that heart attack patients who undergo angioplasty have a 40 percent lower death rate than those who receive clot busters. However, many experts wondered if it would work so well at hospitals where doctors do the procedure less often. The latest study, led by Dr. Nathan R. Every and colleagues from the University of Washington and the Veterans Administration Medical Center, was conducted at 19 Seattle-area hospitals, mostly smaller, community hospitals. It was published in today's issue of the New England Journal of Medicine. Fewer than 20 percent of U.S. hospitals perform angioplasties, and fewer still are set up to do them on an emergency basis. "The bottom line is that in community hospitals, both of these treatments are effective and good," Every said. "Right now, a lot of doctors and hospitals feel they should be doing primary angioplasty because it saves more lives. I'm not sure that's true." The doctors followed 1,050 heart attack patients who got primary angioplasty and 2,095 who received clot-dissolving drugs between 1988 and 1994. The death rate during recovery in the hospital was 5.6 percent for those getting the drugs and 5.5 percent for the angioplasty patients. The clot-dissolving drugs did hold one significant advantage: The cost of treatment was about $3,000 lower over three years of follow-up. However, Dr. Cindy L. Grines of William Beaumont Hospital in Royal Oak, Mich., an advocate of primary angioplasty, contends the approach "has overwhelming advantages." Despite the latest study results, she said in an accompanying analysis in the journal, heart attack patients getting angioplasty are less likely to suffer strokes and new heart attacks or to die. On the other hand, Drs. Richard A. Lange and L. David Hillis of the University of Texas Southwestern Medical Center argued that "the preferred treatment is the one that can be applied more quickly, safely and expertly." And for most patients, they said, that is clot-dissolving drugs.